Have you ever wanted to experience an amazing adventure in a pure & untouched area? 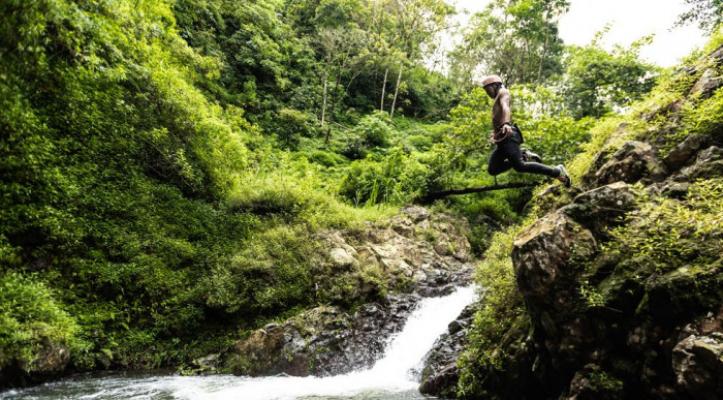 Are you in love with rivers, the jungle, waterfalls, trekking, canyoning, jumping, sight-seeing… Are you someone that enjoys and respects Mother Nature and its majestic beauty? But like everyone you never had the opportunity to mix it all together. We know your feeling. 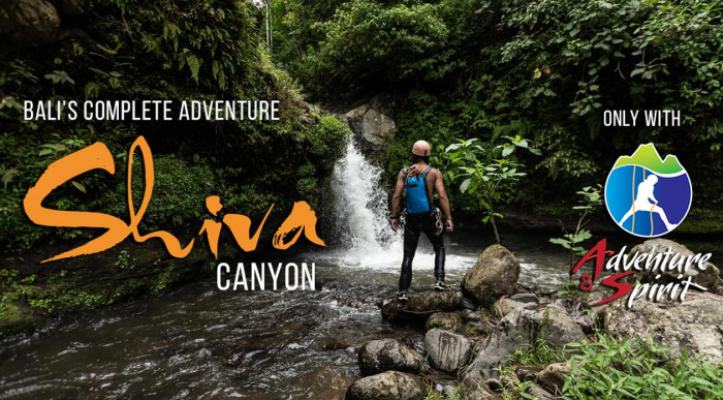 With 35 years of canyoning experience and more than 15 years exploring canyons in Bali and Indonesia, we finally discovered THE place that includes it all: this is Shiva Canyon. 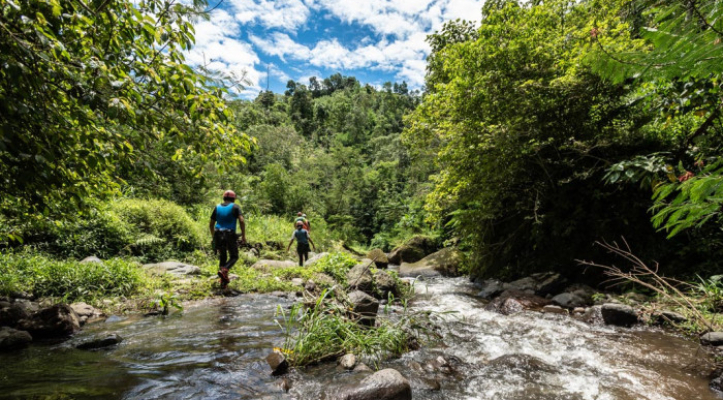 This new 4 hrs descent is the latest and most wanted canyoning trip in Bali! It is not only canyoning: it’s a truly amazing experience accessible to everyone, something that no other canyon in Bali can offer. It is an immersion in untouched Balinese jungle, including trekking, river trekking, rappelling waterfalls, slides & jumps in natural pools (optional). 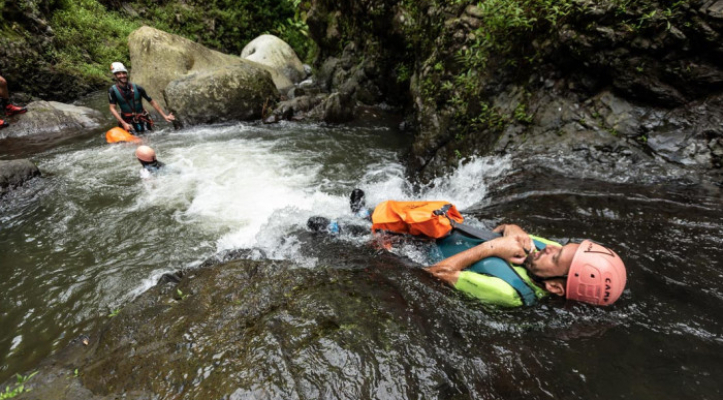 Trust us: the beauty of this canyoning experience has no equivalent in Bali. And included on this incredible trip, you will first visit the holy site of meditation inside Shiva Cave, where local healers and priests come to meditate for many months, and half way through the descent, we will bring you to the “Eden Garden” for a break while you admire the 50m high Shiva Waterfall. With Shiva Canyon, you will be able to breath the spiritual air of the holy cave, to see the power and magnificence of the Shiva waterfall, to experience the fun and easiness of canyoning activity with rappels, repeated jumps and slides, and to feel, see and hear the beauty of the wild & green jungle during the trekking sections. It’s simple: if you have to choose the complete canyoning trip in Bali, be it by yourself or with friends and family, then pick Shiva Canyon. You will finally know why we are called Adventure and Spirit.